Jokes aside - I know, how unhealthy soft drinks are. Having this in mind, I have been for the look for an alternative. 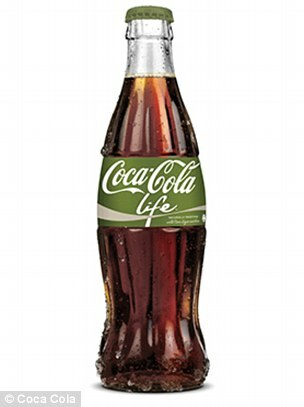 There is for example Coke Life - Coca Cola which is partly sweetened with normal sweeteners and partly with stevia, Coke light or Coke Zero which is sweetened with Aspartam (or other artificial sweeteners). But also Diet Dr. Pepper Cherry, Diet Mountain Dew Cherry Zero and so on. 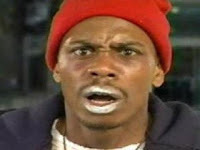 What I learned is, that sugar (and high fructose corn syrup) doesn't only changes the mouth-feel. It heavily effects the taste perception. I am calling this here taste perception, as taste and aroma are far more scientific and "constraint". But anyway - on a personal, subjective note, these products "taste" different than their "fatty" counterparts - and this is kind of a big deal. That means in reality not only the isolated taste (sweet, sour, bitter, salty & umami) and aromas, but the combination between taste and aromas and mouth-feel will influence what we "taste" or that sugar or other sweeteners have a far bigger reach, as what we usually expect. That sounds kind of obvious - but it isn't. We are so brainwashed with the slogans "same taste - no calories (or less calories)" - that we assume, that the marketing is a fact. It also isn't. I tasted Coca Cola light against regular Coca Cola. The interesting twist - I tasted with "closed" nose and with open nose. I would say, the notion of different "mouth-feel" is rather very subtle.. But the composition of "tastes" (sweet, sour, bitter, salty - not really umami) seems really different. Yes aspartam (the sweetener in Coke light) taste sweet. But the balance of the taste seems different - subjectively for me it seems "off". When you are opening your nose, the picture is changing and the beverage gets a slight "metallic" (this is the more approximate description - due the lack of a different word) character. With closed nose, Coke seems to "start" with much less sweetness than you would expect. But then this sweetness seems to develop in the center of your mouth - which is completely different than what you can experience with the sugar free version. The aromas and essences of regular Coke seems also far more composed and definitely stronger than in the light version. Even with regular Coke and Diet Coke mixed, you still have a different taste and aroma experience. What does that all tells us? It tells, that there is much more difference in the molecular composition of tastes. That simplifying is not always the way to go. Think about an Old Fashioned. Some are using normal sugar cubes (I am classicist - I use sugar cubes) - which then are just dissolved in a bit of water (and the usual ingredients are added) - others are using simple or rich syrup. If the temperature and the strength of the drink would be the same, you could assume, that the outcome is the same. But it isn't necessary. Depending how you make your sugar syrup (simple, rich or candy rock) you would end up with different molecular compositions: if you are cooking your syrup, you are inverting the sucrose into glucose and fructose - which will definitely have a different taste. In a taste quite long time ago, I also made the suggestion, to use powdered fructose in Mojitos: it dissolves easier, and personally I feel, that it has "edgier" "taste", which benefits the overall character of the whole drink. Ladies & gentlemen - when talking about mixology, this is what is meant. It is not only tweaking some obscure cocktails or trying to bring half a dozen or more ingredients harmonious together. It also means understand the most basic element of your bar and using this knowledge to your advantage.